March | 2014 | I run. Quite a lot. It makes me happy. I was sent this link by a very good friend today who happens to be vegan. It’s an interview with Moby published yesterday about his journey to vegetarianism and onto veganism. It’s well worth a read. It’s not very long and his attitude towards eating meat echo mine in many ways. I have been aware of Moby’s veganism for a long while and I remember seeing the notes on the inside cover of Everything Is Wrong when I bought it. One of the stats is actually quoted in the interview (the one about the amount of water needed to produce a kilo of beef). In the interview Moby talks about his epiphany when has saved a cat left to die on a rubbish dump. Mine was totally different, but I do like to re-visit the time that it happened from time to time, so why not now? Nick and I had the opportunity to go and work on a holistic retreat in 2007/8. 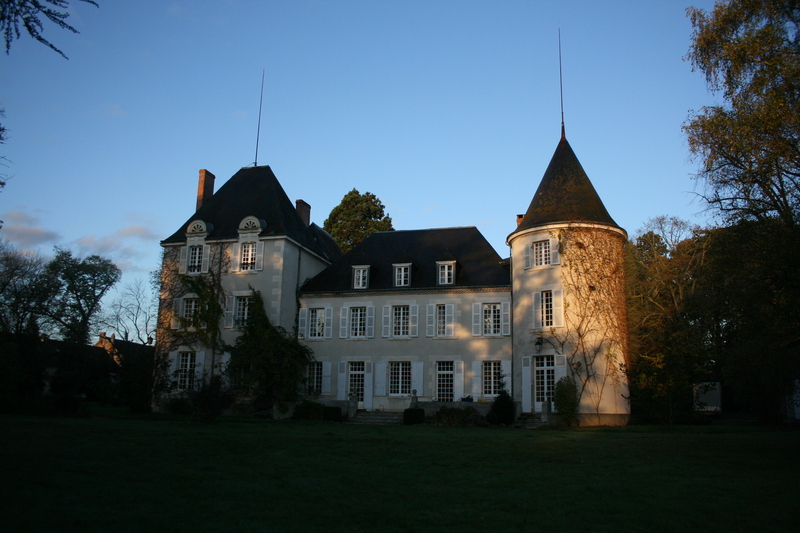 It was on a chateau in the grounds of a nature reserve in a small village in the Limousin region of France. It was a bit of a leap of faith. I gave up my job, we bought a camper van, got pet passports for the cats and left, not really knowing what we were going to do. 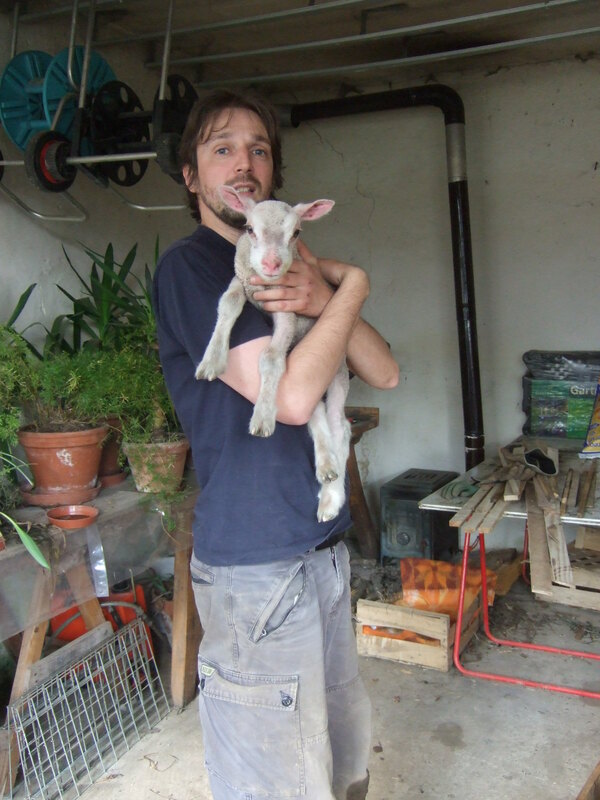 We ended up setting up an organic vegetable plot and looking after the animals on the chateau (cats, dog, sheep, a horse and eventually an abandoned deer). This was such an amazing chance to learn new things and work outside on things that we were really passionate about. I remember the day very clearly when things changed. 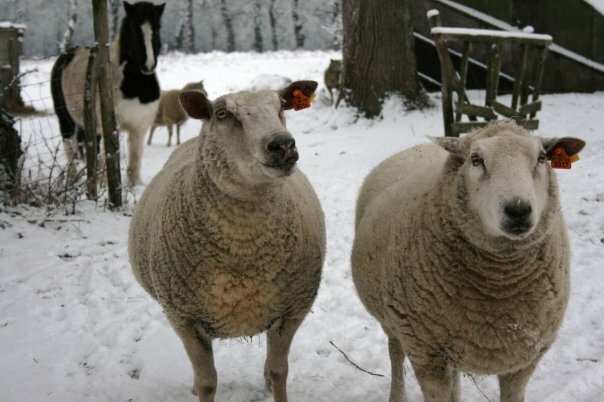 We were looking after about 10 sheep. We fed the sheep every morning. I was very surprised by them. They all had characters, very distinct characters. 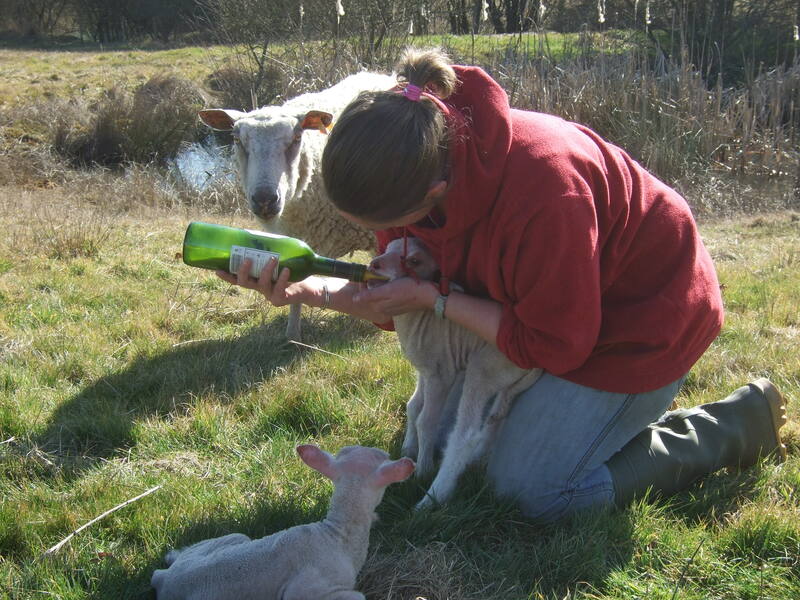 For some reason, the owner of the chateau allowed the females to be fertilised by a male sheep from the neighbouring farmer. So the first lamb arrived. One of the local workers had to fight to get it out of the mother and it died. It was dead at birth. Apparently it was huge and the sheep was really too old to give birth. I understand that he did a great job to save the mother from dying. This was pretty distressing. I’ve never been in that situation before, but I guess that it’s something that happens all of the time. Farmers must just shrug their shoulders and move on. So the next 2 lambs arrived. These were the 2 that were the final nail in my meat eating coffin. They were born on a very cold morning. 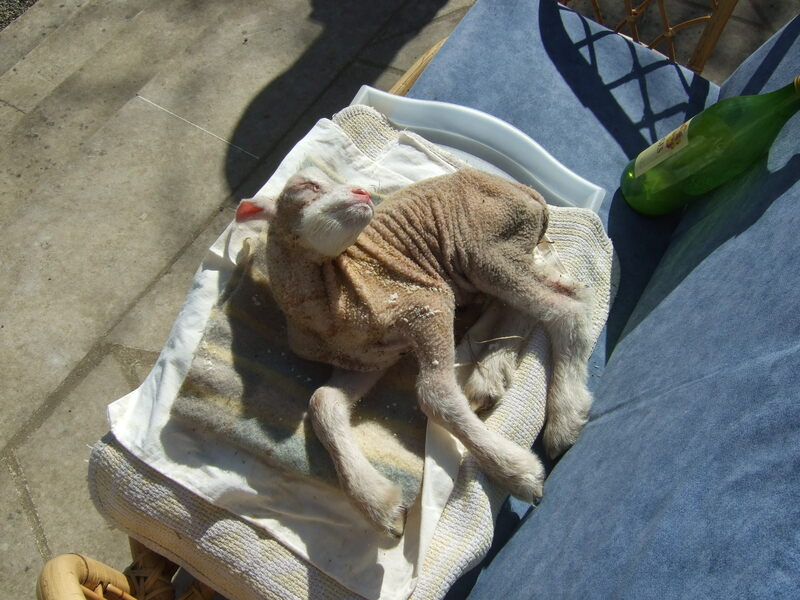 We arrived in the field after they were born and they were laid out as if they were dead. The local worker said that we weren’t to bother with one of them as he was nearly dead and wouldn’t survive. 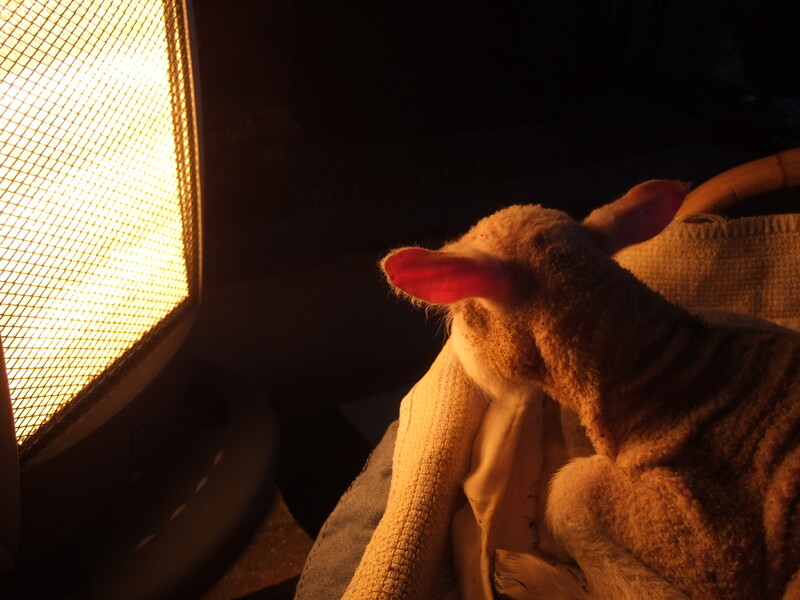 We laid him out on the sunny side of one of the outbuildings to warm him up and make him a little more comfortable. 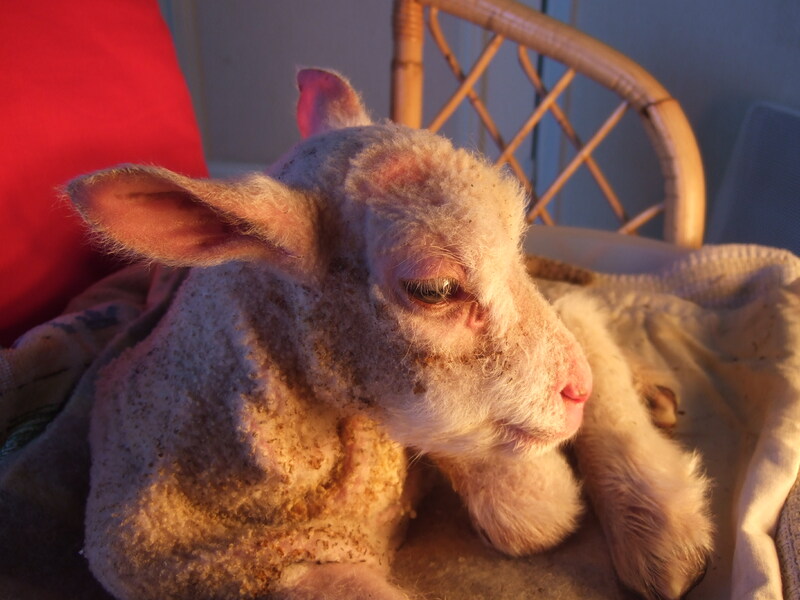 He showed a few signs of recovery so we took him inside, laid him out and put him in front of a halogen heater. The bizarre thing was that the room smelled of roast lamb, ironically. The dog that we were looking after actually came in and started licking the lamb. 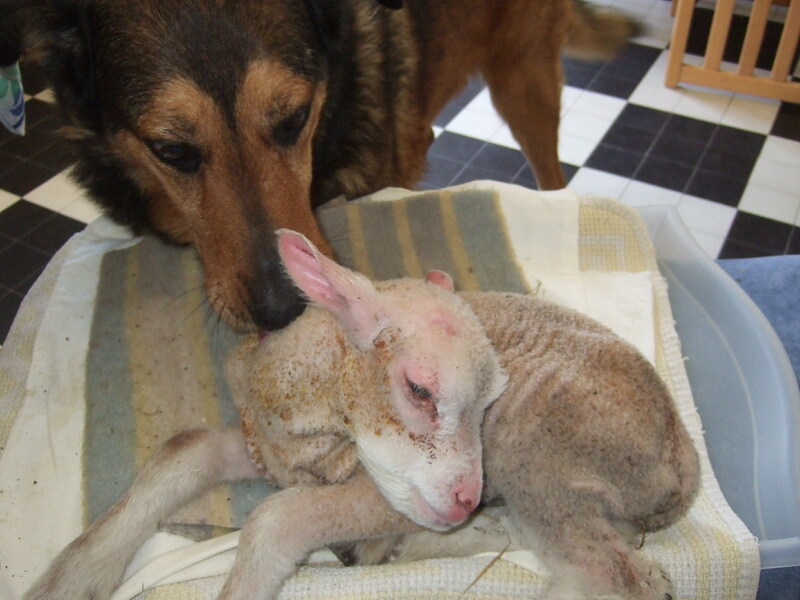 She wanted to help and mother the lamb in the same way that we were. 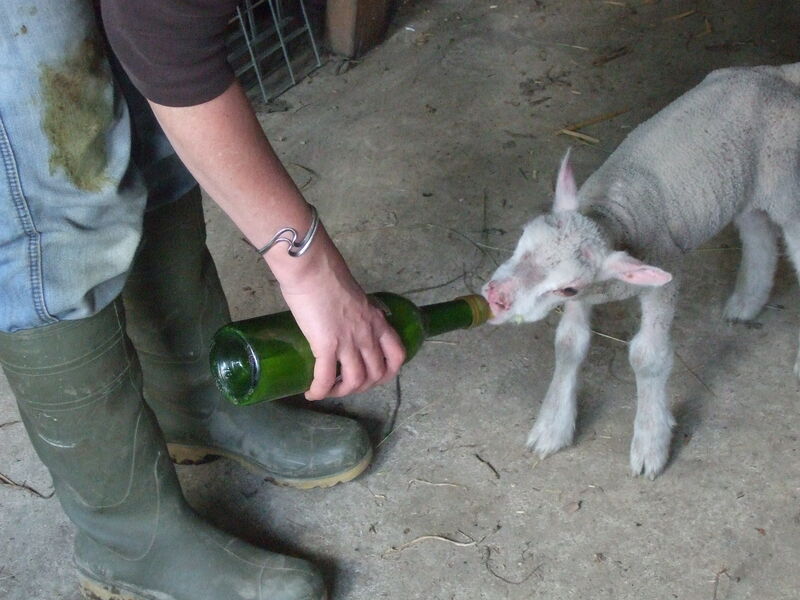 Anyway, the lamb went from strength to strength (as did his sister). We hand reared him. Nick fed him 4 times a day and throughout the night. He really bonded with me. When I crouched down near him he tried to get milk from under my armpit. He would follow me around the place like a dog. When I went to their field he would run over to me. There’s a lot more that I could say. I guess that my point is that in the same way that our family cats and dogs have characters and love for us, so do the animals that we eat, but we have no quarms with killing them for food. There’s a word for it. It’s called speciesism. I looked these sheep in the eye, helped one of them to survive and he showed me love back. This is why I removed myself from the meat supply chain. 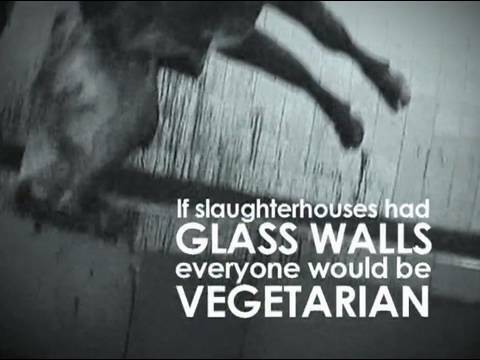 I would challenge any meat eater to look a lamb/cow/pig in the eye, kill it then eat it. I would imagine that we would see a rather rapid increase in non-meat eaters if everyone had to kill their own food. As one famous Beatle once said…….. I have also stopped buying any clothes containing animal products. My shoes now come from Vegetarian Shoes. Next step is to get rid of the diary products from my diet. Well I enjoyed going back to look at the photos and the videos of my time in France. It brought back great memories. I actually have a video of me saying goodbye to the sheep on the day we left France. I got pretty emotional looking at it again. It has been a while since I looked at it. Although that part of my life is definitely in the past, it has had a profound effect on my future. 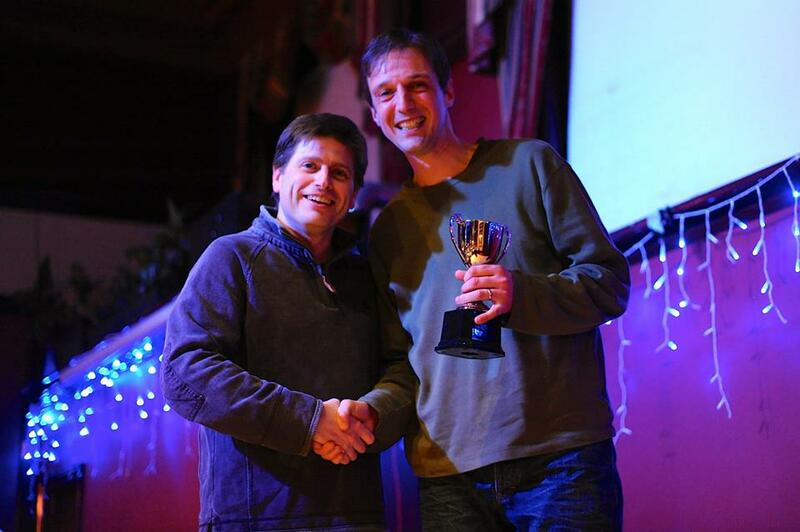 We had the Burgess Hill Runners award night last week, which was coupled with the AGM. This is the first time that I have won anything for some time, probably around 15 years I would say. I actually came home with 2 awards. For actual running I won my age category (V2) for the club championship, which is really nice. I have never won an award for running, apart from finishing medals. It will probably be my last for a while as well. The proudest moment that I have had for some time was receiving the club Social Award. This is in recognition of the work that I have put into the launch of parkrun. Nick and I have really put our heart and soul into parkrun over the past year. We have put a lot of work into it and I must say that every minute has been well worth it. I’m so proud to have received recognition from the club and the people that I respect. I’m pictured below with Andrew (the standing down club chairman). The awards night is great, as it gives recognition to the very talented runners, the not-so-talented and the really hard workers out there. The biggest cheer of the night was definitely for the Improvers award. That’s how BHR works. It really does work for people of all abilities. It was great to see Bryony receive recognition for the tremendous amount of work that she has put into the BHR Junior Academy. It is such an impressive acheivement to have established the academy in such a short period of time. I guess that the academy has become a part of Bryony’s life in exactly the same way that parkrun has become part of ours. The Chairman’s Award went to Sue Baillie, who has done so much work for the club over recent years, along with chairman Andrew, her husband. She was instrumental in getting Clubmark for the club and I can’t even begin to imagine how much work must have gone into that. It was really great that Kevin was recognised for the work that he puts into the pub runs. During the summer we meet on Friday nights at random pubs in Sussex, run for 6 miles or so and then have some food. It’s a great part of the social life with BHR and Kevin puts a huge amount of work into it. All in all, a cracking night and looking forward to 2014/15 with BHR. 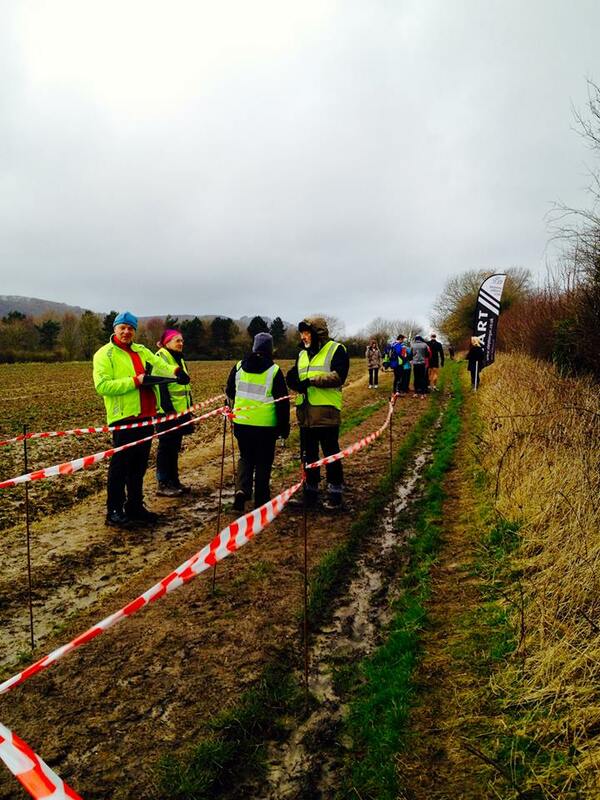 Sunday was the Spitfire 20 event in Surrey. It is based at the Dunsfold Aerodrome, which is where Top Gear is filmed. 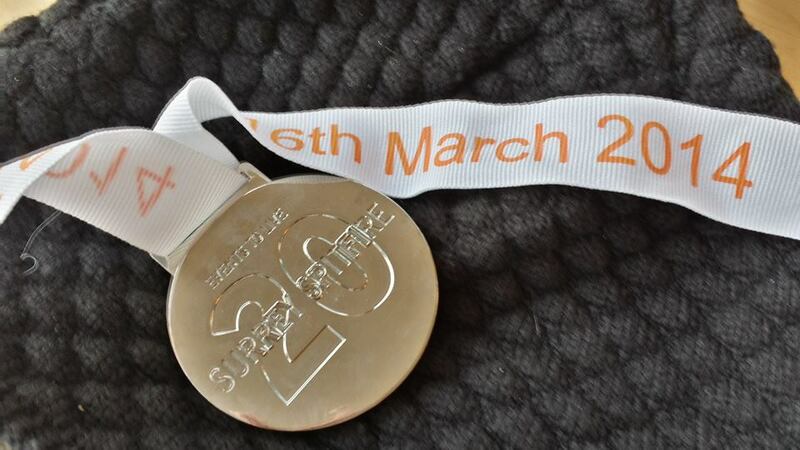 There are 2 races on the day, as the Spitfire 20 is held at the same time as the Tempest 10, with the longer race being 2 laps of the 10 mile course. Both events set off from the same place at the same time. This was planned as the last pre-Brighton run and the idea was to go out at 6 minute kilometres, which is my target pace for Brighton. 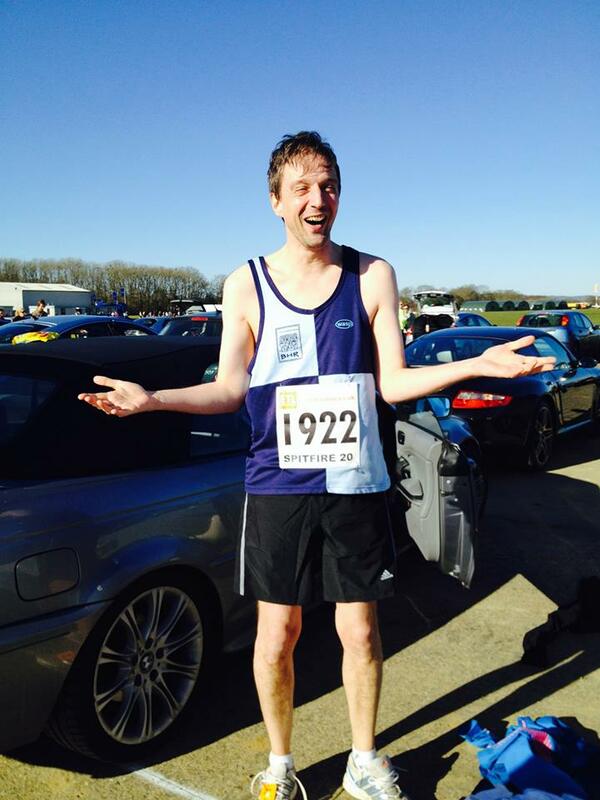 I had been contemplating not running as my back was playing up, but to be fair it didn’t cause me any issues. The weather was warm (hot by recent standards) and I ran in shorts and a vest. This is totally unheard of. 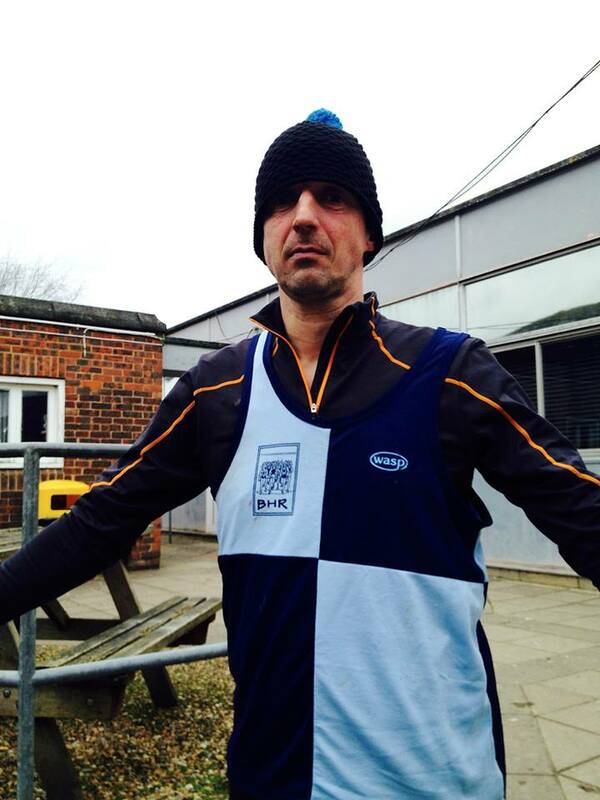 I have run many races in totally inappropriate clothing over recent years and suffered due to the heat. This is a hangover from being the skinniest kid at school and hating this fact. At 43, I should have really got over it by now. The first 4.5km are in the aerodrome. It’s pretty flat and very open to the elements. It’s pretty tough to stay slow and not speed off, as half of the runners are doing half the distance you are. On a windy day, this section would be tough. Once you leave the aerodrome, you are out on the roads. The roads are not closed and it must be said that it was a little dangerous on the first lap, as we were close together and the 10 milers were mixed with the 20 mile runners. On the second lap there were half the number of runners and everyone was much more spread out. If you don’t feel comfortable with cars passing you (albeit slowly) while you are running on the road, this may not be the event for you. There is a steep hill at just before 5km just after you leave the aerodrome, which lasts for 200m. There is then around 400m of descent before the long climb. Over 2.5km you climb just over 30m. It’s a long drag and some people do walk. After that you turn off onto much quieter roads most of which is either downhill or flat with just 2 nasty small climbs at 10.5km and 12km. The countryside is fantastic, not dissimilar to the Barns Green Half. The atmosphere was very good after the long climb. There was a group of ladies from Dartford Road Runners who did not stop talking. 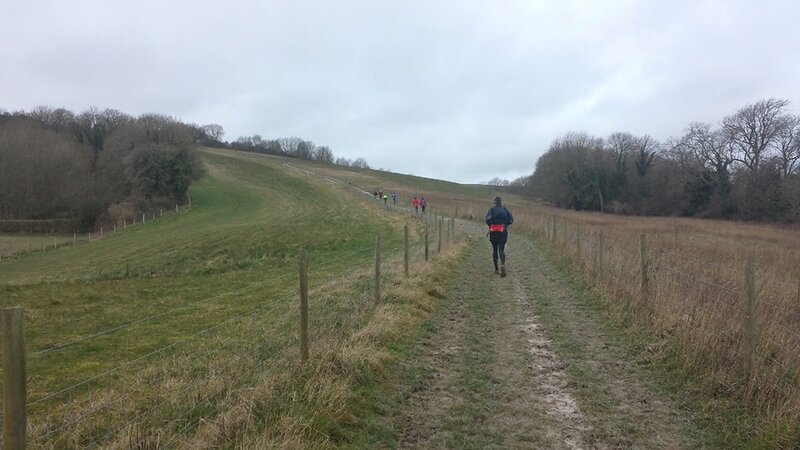 I also had a chat with a couple of people from Arunners about the West Sussex Fun Run League and a lady from London who was an avid parkrunner. This made the miles fly by (a little too quickly to be fair). As we entered the aerodrome at the end of the first lap, the 10 mile runners went over the finish line and I started on my second lap. I was nearly 3 minutes ahead of what I had set out to do. So the second lap went well until I hit the downhill section after the long drag at 25km. I felt good, so decided to speed up. Stupid error. 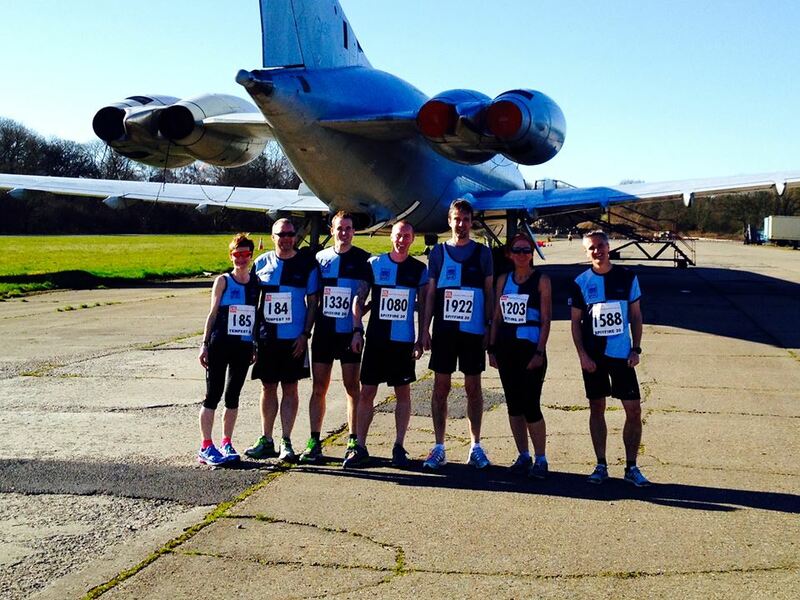 I got to the village of Dunsfold and at 28km ran out of juice. With 4km left I was helped home by one of my fellow Burgess Hill Runners, typifying the tag of ‘The Friendly Running Club’. I slowed down dramatically and got home in 3 hours 9 mins. Not exactly the confidence boost I was hoping for, but lessons will be learnt for Brighton. Speeding up was a stupid idea and I’m still struggling to fuel and sleep during the 2 days before an event. My excitement/anxiety are still getting the better of me. Fingers crossed I can resolve this before Brighton. I would certainly recommend this event to others, with the caveat of the road sharing. 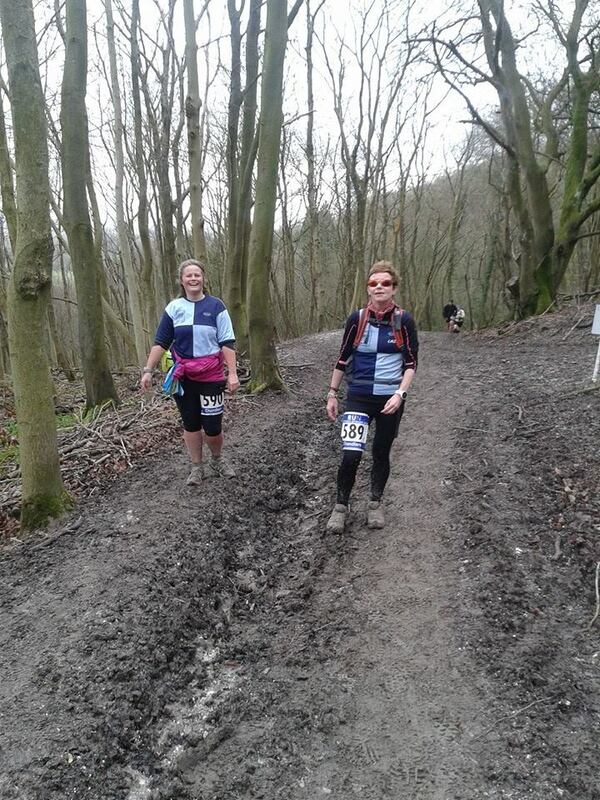 The feeding/watering stations are well manned and the marshals on the whole were excellent and very encouraging. There is a large range of abilities as people are doing there last pre-marathon long runs. 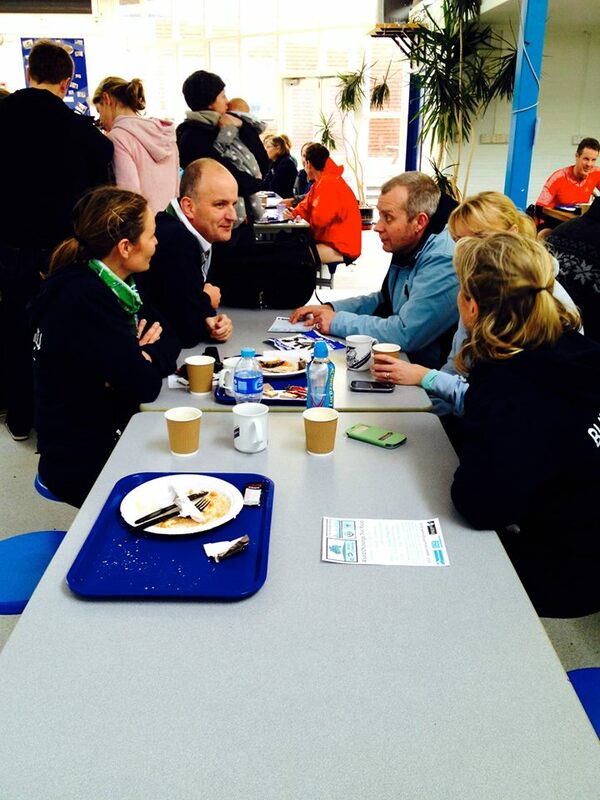 This event definitely compares favourably with the Worthing 20, which is one of the other big pre-marathon events. It’s a really nice medal for those who are interested that kind of thing. Big, shiny and heavy. 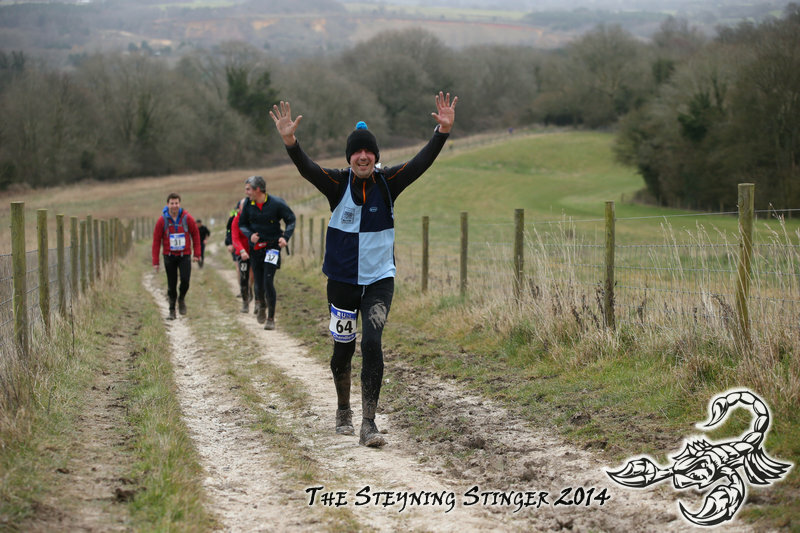 The Steyning Stinger is so called as there are 4 stings (climbs) up to the top of the South Downs. I honestly think that there are 5 distinct long climbs, as you will see from the gradient from my GPS record of the event, but I guess that’s a technicality. This is what makes the event so attractive. If it wasn’t the ‘Stinger’ it would be like any other event. But it’s not. It’s a real test, whether you do the half or the full marathon. 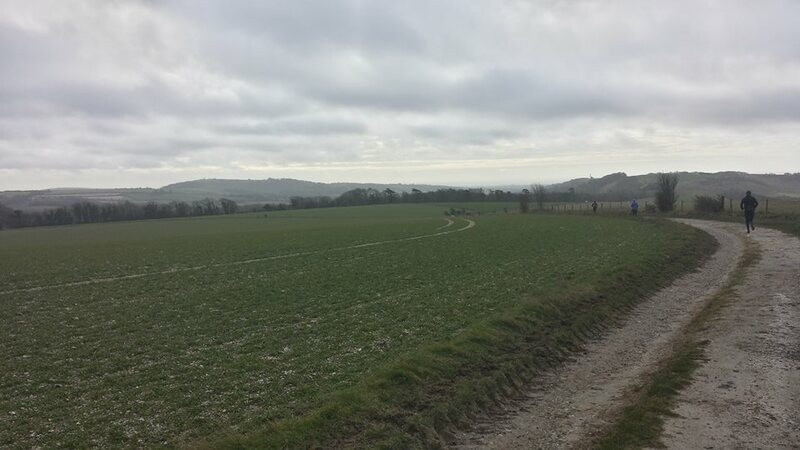 The event this year was made even tougher by the mud caused by the past 5 months of rain and by the southerly wind, which was pretty strong on the top of the South Downs. 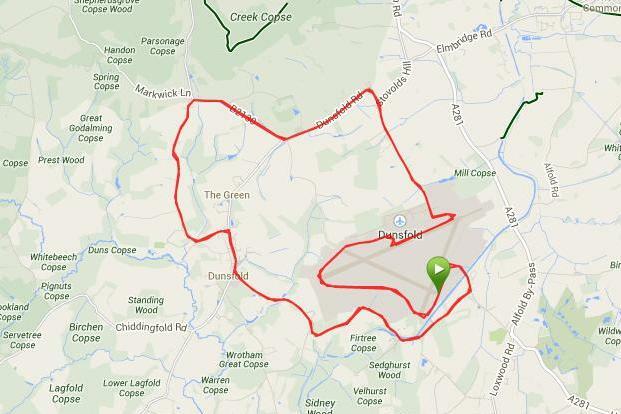 I knew parts of the course from previous events organised by Steyning AC and my time off road biking on the Downs. I knew what to expect. Well, I thought I did anyway. 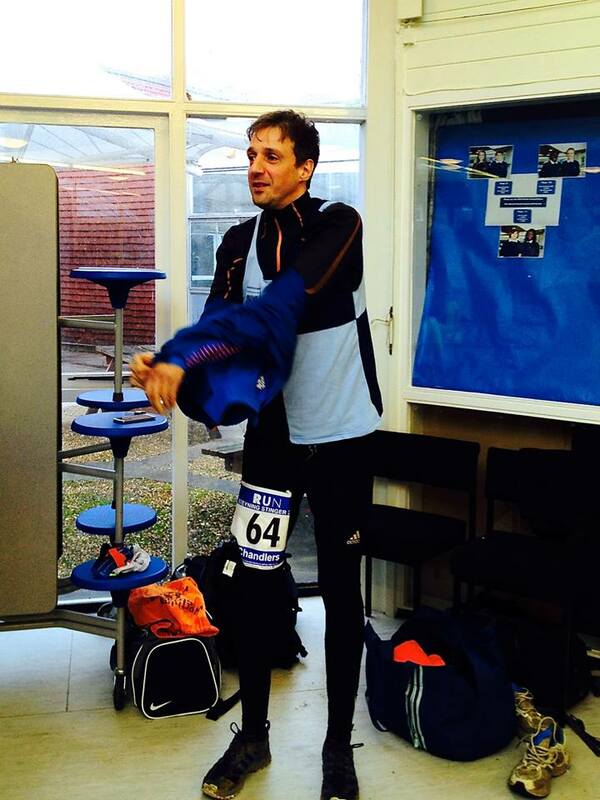 The race HQ is in the Steyning Grammar School. The welcome is warm and the atmosphere very pleasant. There are changing rooms and an area where to leave valuables and bags. The start of the event is unlike any other that I have done. There is no mass start. There is only an earliest possible and a latest possible start. So you turn up more or less when you want, they record your start time and then you’re off. The advantage of this is that you can get ahead of the cut off times and also you are out on the course at the same time with runners of different abilities. So, we set off, Nick and I together. A baptism of fire awaited us. 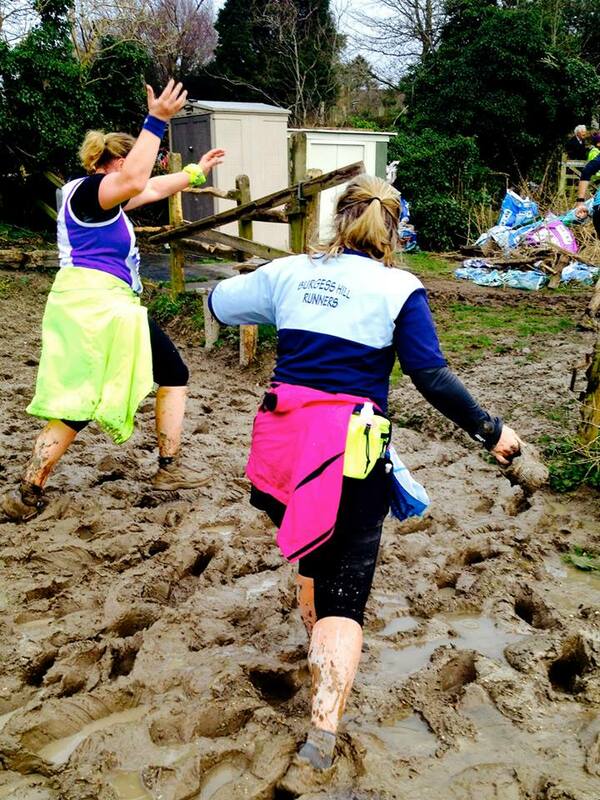 The first 700 metres were already pretty boggy, almost impossible to run on. This was the type of leg sapping that we didn’t need at the start and I started to think about what was ahead of us. We soon popped out onto Mouse Lane, a welcome country lane. I made good progress up to kilometre 4, where we hit the first and worst lot of mud. We had been warned about it the previous day when pictures were posted of this area. 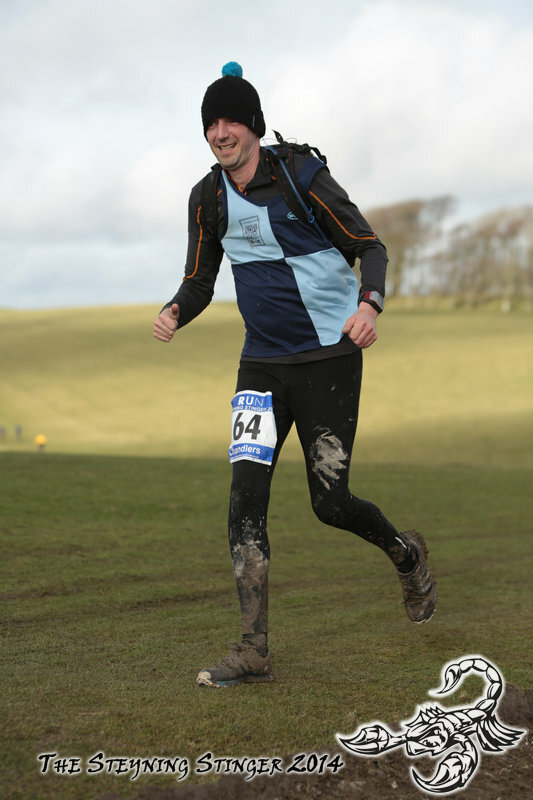 I saw the unmistakable gait of Jon Lavis a few hundred metres in front of me and caught him up as we went through the muddy section. It was thick and deep. I wanted to go through the ruts that the tractor tyres had made, but you could not tell what was below the surface of the water, so I decided to go through the mud, which was shin deep in places. Luckily it didn’t last for too long and we were able to start to run again, until we hit the first hill. It was not a sting, just a hill that no-one in my vicinity even considered trying to run up. After an extremely steep downhill and a very boggy, muddy field, we arrived in Washington and went back onto the road, past the village church and over bridge at the A24 and to the first check point. All check points were really well manned and offered cold drinks, biscuits and chopped up chunks of Mars Bar. I stopped and fuelled, even though I didn’t really feel the need (a point I will come back to later). So here was the first of the ‘stings’. 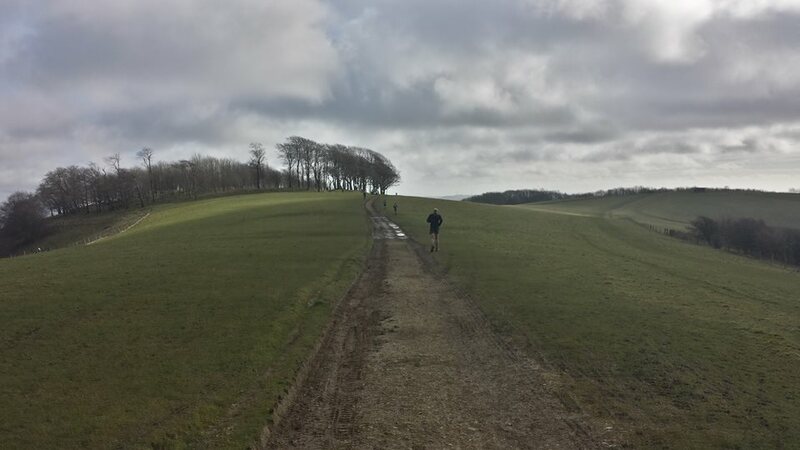 It was a climb of 2.2 kilometres in length and a height gain of 133m to get us onto the South Downs Way. I walked almost all of it. This was the plan and I stuck to it. I could have run it, but resisted the temptation. 1 sting down, 3 to go. The next 4.2km are plain sailing. All downhill, all off road and a total height loss of 115m. In this section we passed the most remote of all of the marshal points. The 2 marshals were sitting on deck chairs and must have been freezing. At least the tail runner would have passed them relatively earlier, so they could head back to the warmth of the school. At 13km we crossed the A24 again (over a bridge), refuelled at the check point and headed up sting number 2. 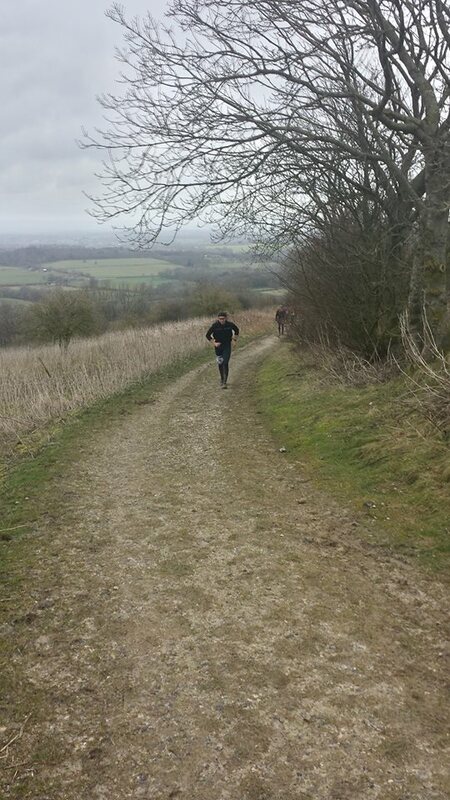 This one had a height gain of 139m over a distance of 2.7km up to Chanctonbury Ring. It was at this stage that I realised for the first time that the wind had increased and we headed southwards, straight into it. The longest descent of the race followed. Over 7.5km we lost 186m in elevation. The descent was tempered slightly by the strong headwind, but it was pleasant nonetheless. After a couple of km down this descent there was the turning for the half marathon runners to head home. That must be a huge temptation for some of the marathon runners to cut their race in half. I wonder how many did take that route. There was a checkpoint and feeding station half way down the descent, just before the half way marker. This was a double checkpoint as we were about to embark on a 5 mile loop which almost touched the north end of Worthing. What was to follow was not so pleasant. 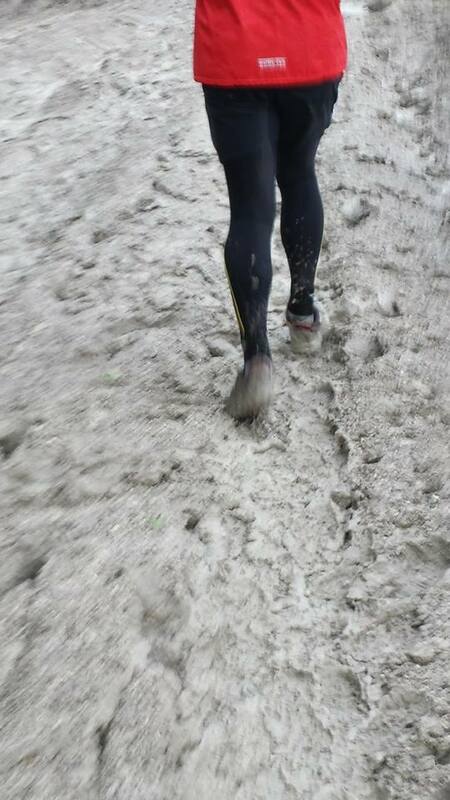 It was by a distance the most difficult section of the course. I took one of my gels and set off on the long walk up and north. In 2km we had an elevation gain of 120m. The actual gradient and the length of the climb were no greater than the previous stings. It just came at the wrong time. It was 15 miles in. There was a little self-doubt starting to creep in and the actual surface was horrid. 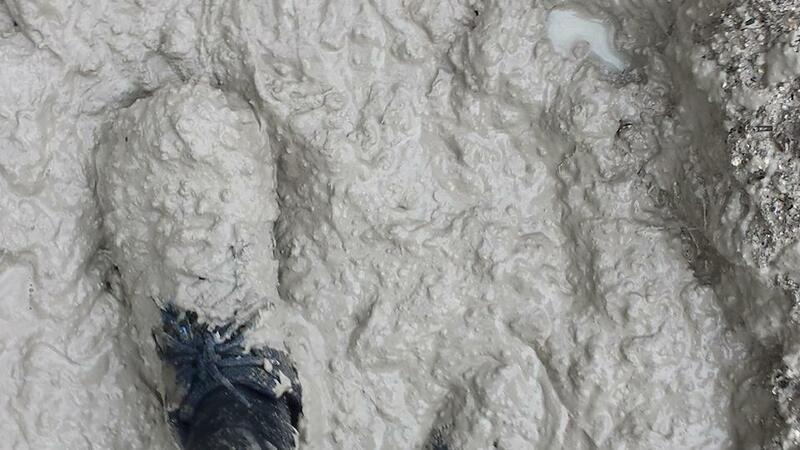 It was chalk and extremely rutted. At this stage I was thinking that 11 miles is a long way to walk if I was going to run out of steam. Luckily, things soon got better when I reached the summit of sting number 3 and I descended back to the checkpoint I had passed at 20km. I was now 27km in and could see people at the same checkpoint who were 45 minutes behind me. If that doesn’t cheer you up, then nothing will (I know it’s bad to have those thoughts). From here we headed east. This was the flattest part of the course. It wasn’t flat. Far from it. It’s all relative. It was a 6km section, which involved another loop and a section where you passed other runners heading back. This was great. I like meeting runners heading in the opposite direction, even if they are in front of me. I also have to say ‘well done’ to every one of them, even if they look like an Olympian compared to me. That must be the result of around a year of volunteering at parkrun and shouting out encouragement there. 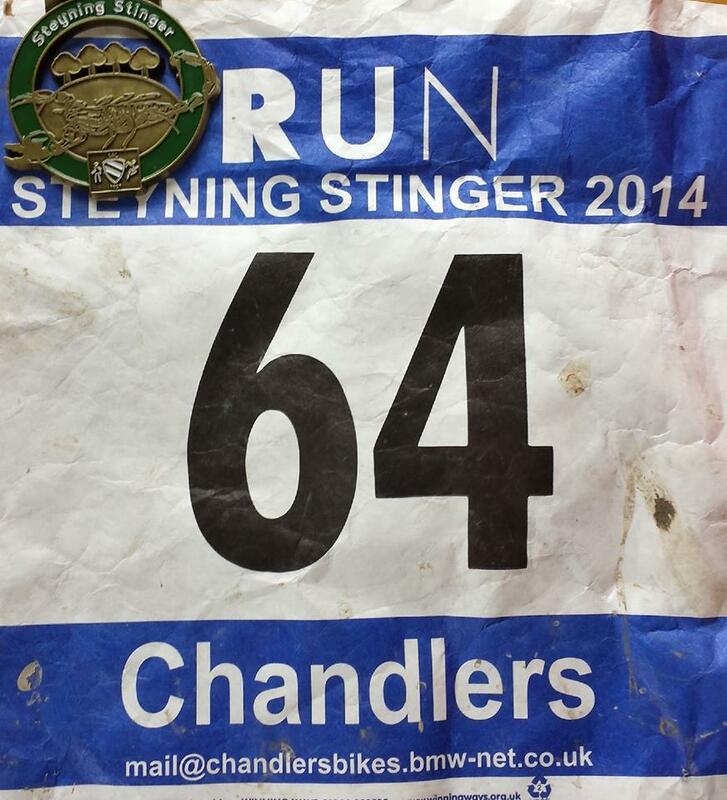 So at the 34km point the final sting began. This turned out to be the longest climb at 3.3km long, but the elevation gain was more forgiving at 122m. The wind was behind us at this stage, it was the last big climb and I was familiar with this section from my cycling days, so I almost ran it. I had the energy, I was approaching the end and I had a target time in the back of my head which seemed like it may be possible. It was all downhill from the top of the last sting. Well almost all downhill. I soon learned the downhill is not always your best friend when it comes at 23/24 miles of a marathon and it’s too steep to run down. In fact I walked down this section more slowly than I had walked up the hills. There were a couple of small inclines at 25 miles, but I didn’t care. I was nearly there. 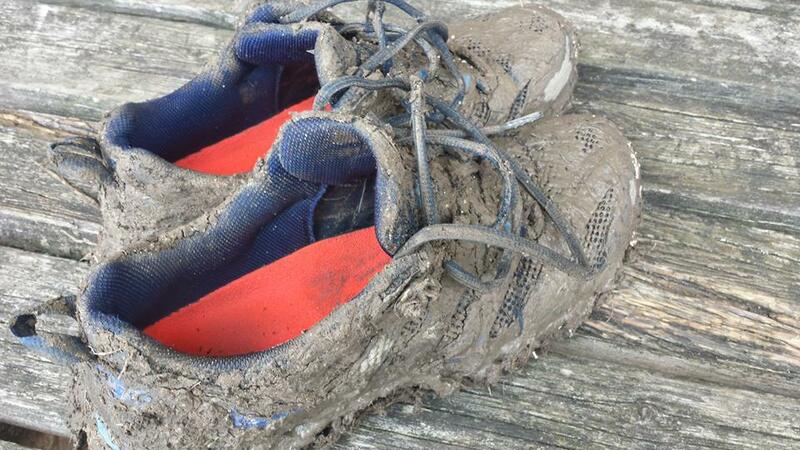 The only pain was the last 700m, which was the same as the first 700m, only now lots more muddy. I got to the finish line in 4 hours 59 minutes. I’d gone under 5 hours. That was my goal, although I had no idea what to expect really. It was great to get a big hug from Jan as I went over the line. She had just finished as well. I’d obviously been just behind her for a while, but didn’t realise. 1. 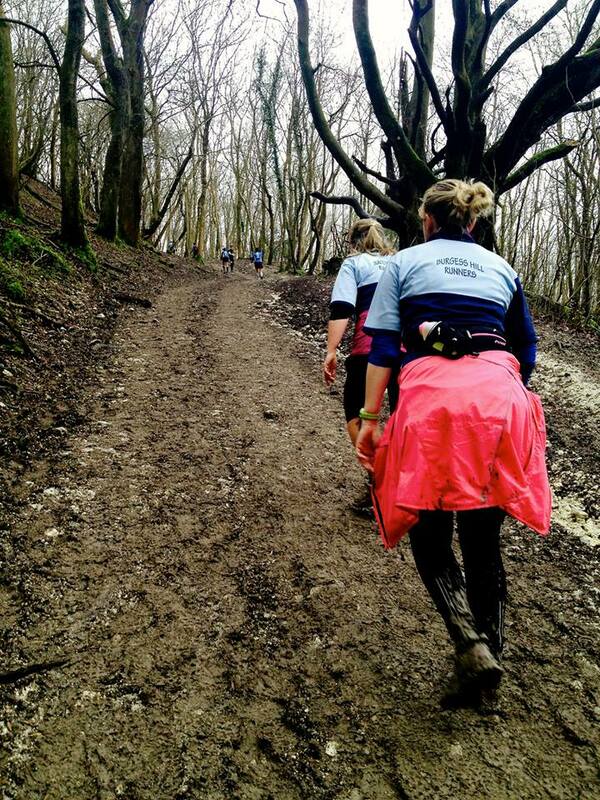 Walk the hills, run the flat and run the downhill sections. This is exactly what I did for the most part, even if I was tempted to run the hills early on. 2. Even on the flat, if you feel the need to walk, do it. Don’t take a rest when it’s too late. Rest before it’s too late. I did just that and it worked. 3. Make sure you fuel regularly. I have often not fuelled properly during races through fear of losing ‘vital seconds’. This is totally stupid and I made a conscious effort to fuel regularly. I can not over stress following this advice. 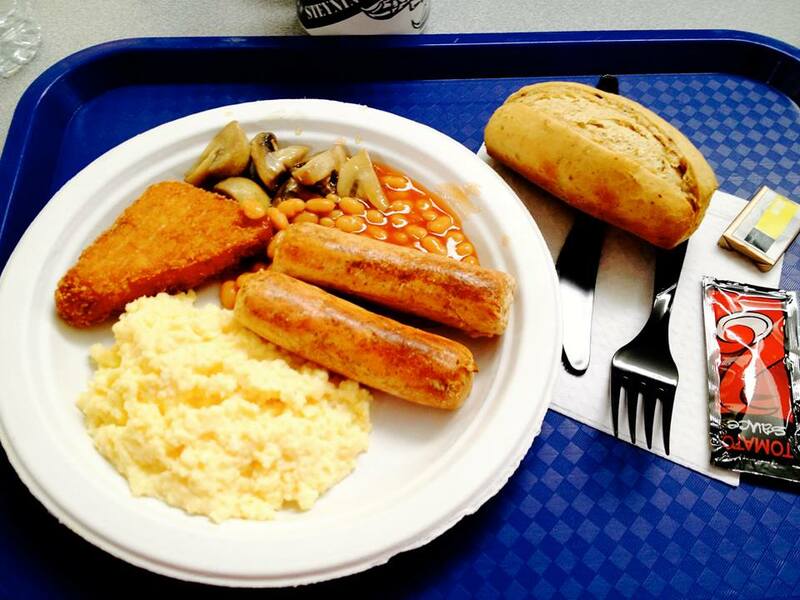 A free breakfast was served to everyone in the school canteen at the end. 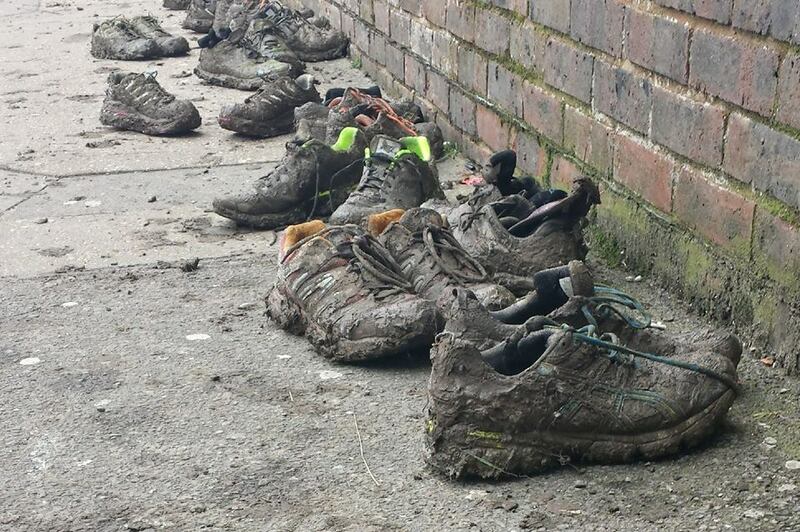 It was really funny to see all of the running shoes outside the entrance to the school. It was a really lovely way to finish off the day. Sitting for food and swapping stories. So, let me summarise. This event is excellent. It’s tough and not for the faint hearted. It’s incredibly well organised and I would recommend it to anyone. You are never going to set a PB at this course. It’s not the point. The point is to challenge yourself in a different way and it certainly does that. 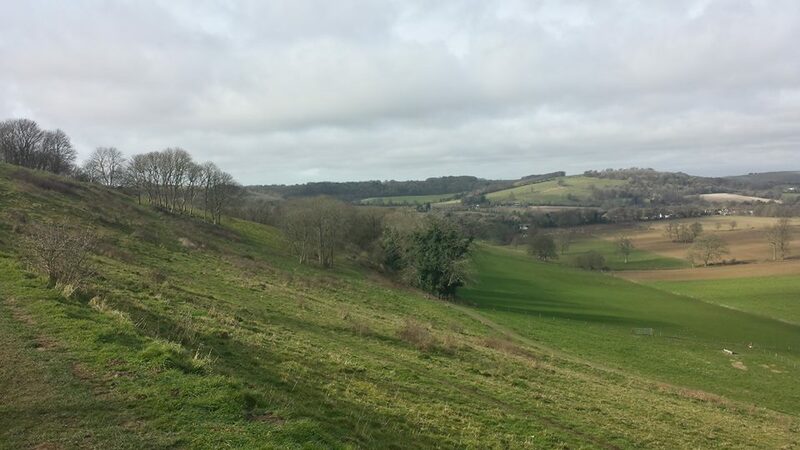 You also get to see some of the beautiful Sussex countryside. 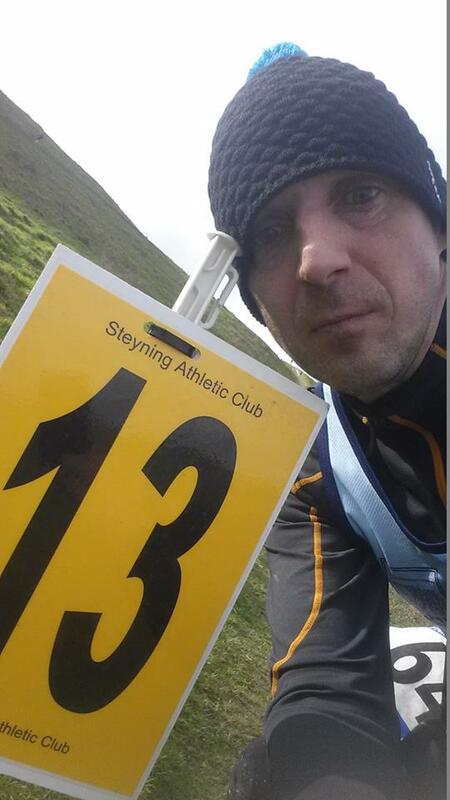 We are so lucky to have running clubs in Sussex who stage these events and Steyning AC do a tremendous job on this one. 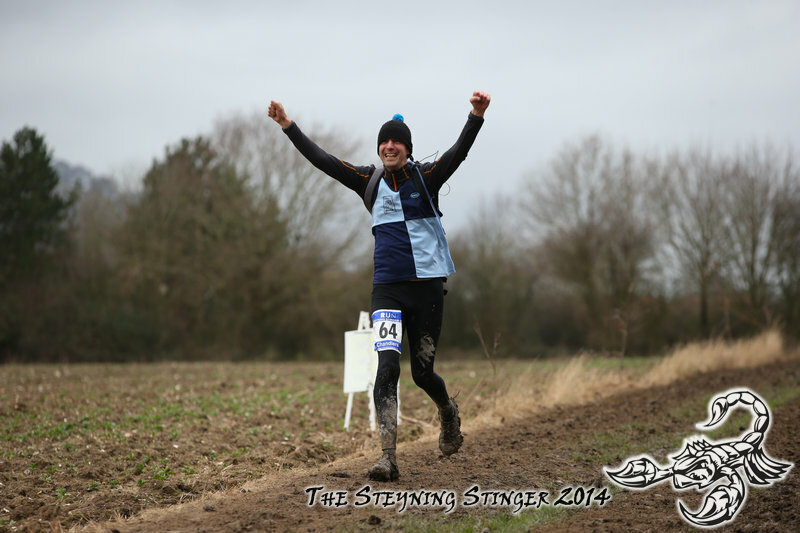 Photos supplied by Sussex Sports Photography, Caz Wadey and myself.